One of the few game developers to actually eliminate, rather than add, loot boxes to their game is Phoenix Labs. The company announced plans to remove “Chroma Cores” from Dauntless late last year, and today co-founder and CEO Jesse Houston talked to GamesIndustry.biz about that decision. 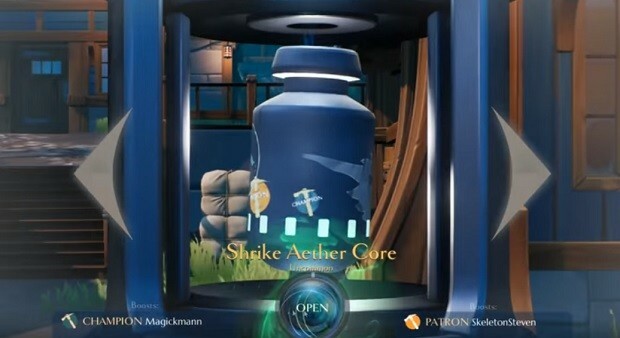 Early in Dauntless’ development, Phoenix Labs introduced Chroma Cores because loot boxes were considered the standard for free-to-play games. After seeing the backlash for Star Wars Battlefront II, and other games, however, Houston decided to change tack. Houston goes on to say that he wanted the focus of the company to be on developing a great game rather than on trying to squeeze as much money as it can out of players. That attitude might be noble, but it often runs afoul of investors who care less about quality and more about quantity (of dollars), but Houston said that Phoenix Labs’ financial backers supported the company’s decision. Indeed, he said that he gets more questions from investors about gameplay elements, such as favorite weapons, than on monetization. Dauntless will launch into open beta later this year. A good move, for gaming in general. Especially seeing as loot boxes are slowly but surely becoming more recognized as gambling (as they bloody should have been a long time ago). I would rather have a loot table, with a low chance of drop than see more loot boxes in games. In fact, the Standard used to be just Direct buy of cosmetic and P2W items. It’s completely for Greed only, not Standard. And Dauntless removing Lootboxes isn’t that amazing either, in fact, the game is suppose to be based on Monster Hunter, who didn’t have Lootboxes in the first place, even the new Monster Hunter World have none of it. And seeing how more than 50% of Dauntless’s Players moved to MH:W, this is one of the reason they decide to remove Lootboxes, in order to try and win back their Players to Dauntless. Since even in Early Alpha, a lot of players asked to not have Lootboxes in Dauntless. Good choice phoenix. On a side note, Im pretty excited to see the finished product down the road. Looks good so far.